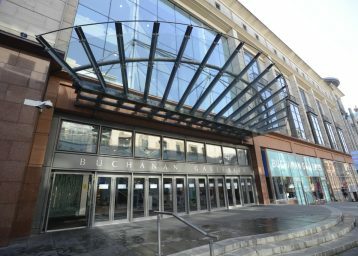 The new £165 million Victoria Gate Shopping Centre has opened its doors to the public for the first time on 20th October 2016. 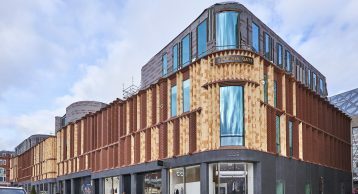 The complex, which houses the first John Lewis store in West Yorkshire was opened by Welcome to Yorkshire CEO Gary Verity. 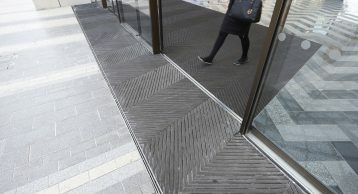 INTRAsystems could not be any prouder to partner with Victoria Gate in installing INTRAflex XT Heavy Duty Entrance Matting with a unique chevron design and Waterflow Drainable Matwell Base. 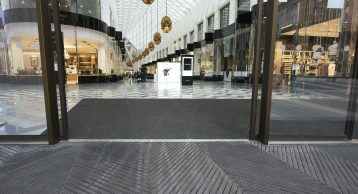 INTRAsystems has extensive experience specifying and installing Heavy Duty Matting in all market sectors, and have an impressive portfolio of clients built up over the past 35 years. 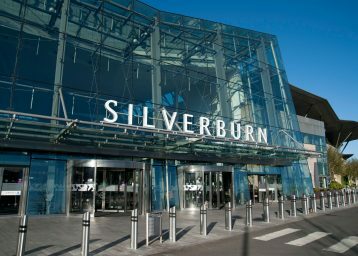 We can proudly add Victoria Gate to that illustrious list. With varying environments requiring individual attention to detail, experience and market knowledge is paramount to ensure optimum performance, every time. 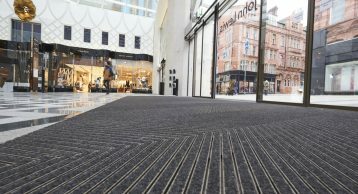 Experiencing very high levels of foot traffic, especially in peak seasons, high quality Entrance Matting is a vital element for all indoor Shopping Centres. 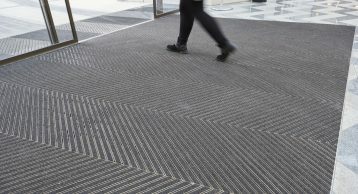 Smooth stone floors beyond the matwells are widely used, meaning the barrier matting must efficiently absorb maximum foot-borne moisture, to avoid the risk of slips & falls. 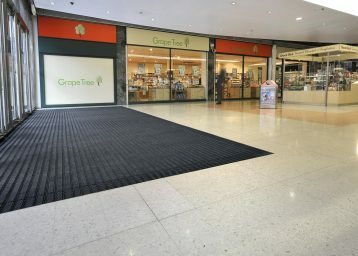 Clean, visual appearance is valued by all Shopping Centres; for Victoria Gate this was a crucial element. 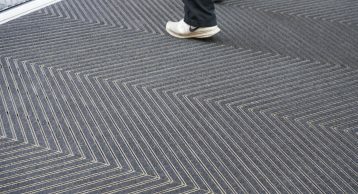 INTRAsystems worked hand in hand with designers to implement a unique chevron design which not only adds an aesthetic value but contributes to the longevity of the Matting and flooring products. It is also highly functional making the cleaning routine straightforward, also helping minimise maintenance costs over the long life of the system. 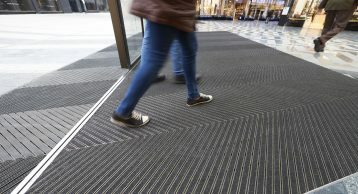 As public safety is of vital importance, for its own reasons as well as the success of the centre, high quality, effective Matting is essential. 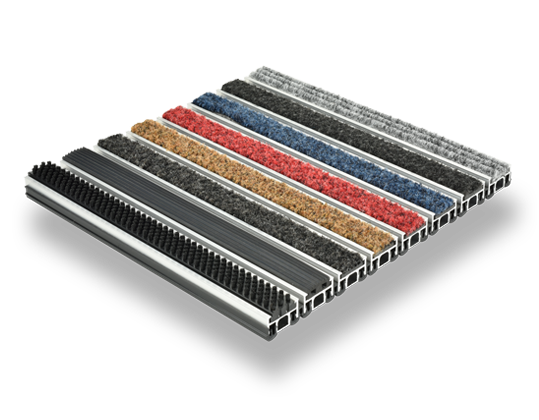 INTRAflex XT is excellent for exposed areas with high levels of surface water and combined with the INTRAmatting Waterflow Drainable Matwell Base, forms the ultimate barrier solution against the ingress of foot-borne soil and moisture. 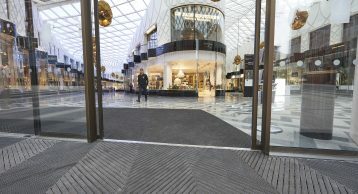 Victoria Gate partnered with INTRAsystems and specified with confidence.